Bodies of water vary from oceans and lakes to brooks and rivers. Water bodies are mostly very refreshing if you are close to any of them. Water is good and desirable in every form and that is why majority of the holiday attractions are located near water bodies. There are a number of inland waters. Uncertain official meanings and various colloquial usage of things begin confusion. The difference between creeks and streams is a general question and a clear meaning of the two terms aid people to know the right details of inland fresh water. 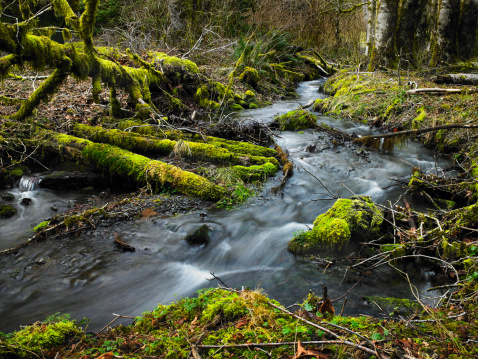 The difference between a stream and a creek is that streams are described as being linear bodies of flowing water. On the other hand, creeks are a kind of stream that is they are also linear bodies of flowing water. However, they are differentiated as they are small and shallow streams. Know that creeks are a particular kind of stream which are different in shape and size. Moreover, other kind of streams also exist and that includes allt, anabranch, bayou, awawa, beck, branch, brook, burn, crick, falls, fork, distributor, gill, kill, nant, lick, pup, prong, rio, rill, river, run, rivulet, slough, syke, wash and streamage. 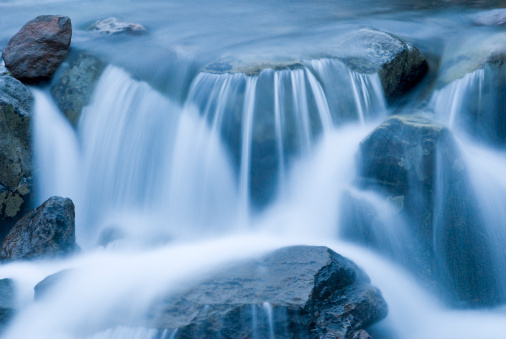 Understand that a stream is any water body with current that flows to lower levels under the force of gravity. However, a creek is a small stream of water which is inland. It is also more turbulent, narrower and shallower than a stream. It is a linear body of free flowing water on the surface of the Earth. It is restricted in a stream bed and moves all year round under the force of gravity. Streams are linked by a number of sources. They may originate water from snow melt, run off, precipitation and couple of other streams. They might have tributaries and can also be tributaries to various bodies of water. 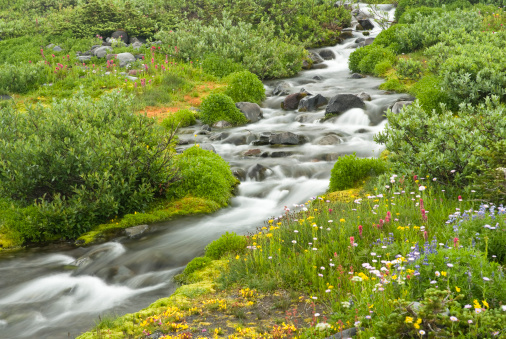 For instance, small streams might move into big streams and from there on they might move into oceans or lakes. It is a small stream and can be ephemeral or intermittent, suggesting that they do not consist of water all year round. Creeks are usually shallow and act as tributaries to big bodies of moving water. The North American usage does not mean if a creak should be fresh water or salt water. On the other hand, the British usage of creek means an inlet through the shore.